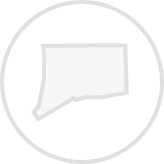 Create a legally binding Connecticut Bill of Sale with our attorney-drafted template! What Is a Connecticut Bill of Sale? A Connecticut bill of sale is used to prove the legal transfer of ownership interest of an item from one person, known as the seller, to another person, referred to as the buyer. What Are Some Common Bills of Sale Used in Connecticut? In Connecticut, the most commonly used bills of sale are for general items, motor vehicles, boats, and guns. Bills of sale in Connecticut do not need to be notarized, but you do need to include a statement that certifies that you understand that there's a penalty for perjury. How Do I Write a Connecticut Bill of Sale? Regardless of the type of bill of sale, there are some common pieces of information. For instance, a bill of sale must include the name and physical address of both the seller and the buyer. Other pieces of information are required, but they depend on the purpose for the bill of sale. You'll learn about those next. With a general bill of sale, you'll need the name and physical address of the buyer and the seller. It's also prudent to include the driver's license number of both parties. If either party doesn't have a valid driver's license, you should use the identification number listed on their state identification card. A general bill of sale should clearly describe the item being sold. Common inclusions include the make, model, and serial number. If you're selling an item that doesn't have those items, you could also provide a physical description. For instance, a twin size bed frame with a white headboard and footboard, without mattress and box spring. Next, you should list the trade or purchase price of the item. You should also clearly indicate if you're taking money or a trade for the item. If the buyer isn't paying for the item the day that the bill of sale is filled out, you should include the date that the payment will occur. If the item is being given as a gift, it should be listed. Any item associated with a trade should also be detailed. The bill of sale should also include a seller's disclosure that explains whether the item being sold has any defects. It's very important that the buyer reads the disclosure and understands the condition of the item that they're getting. Finally, the bill of sale should include a certification that the seller understands that there is a penalty of perjury. It should be signed and dated by both the buyer and the seller. In addition to the name and physical address for both the buyer and seller, you must also include the VIN, year, make, model, body style, and odometer reading of the vehicle. You must include the price of the vehicle. Finally, the seller must sign a certification that they are not giving false information related to the vehicle. If you choose to draft your own bill of sale for a vehicle, you should ensure that it includes all of the elements listed above because those are the items listed on Form H-31 which is provided by the DMV of Connecticut. A Connecticut bill of sale for boats should include the name and address of both the buyer and seller. It should include the selling price. The bill of sale must include the model, year, make, Hull ID, color, and length. If the boat had an out of state vessel number, that number as well as the name of state the boat was formerly registered in. Finally, the bill of sale should include a certification that the seller understands that they can be punished for perjury if they give untrue information about the boat. It must be signed and dated by the seller according to Form H-31. Is a Connecticut Bill of Sale Required to Register a Vehicle? Yes, a bill of sale is required to register a vehicle in Connecticut. However, that's not the only document that you need to register a vehicle. A vehicle must be registered in the state before it can be driven. However, if you've recently moved to Connecticut, you have 60 days to register their vehicle. You must present proof that your vehicle passed an emissions test. If your vehicle is exempt from emissions testing, you'll need to provide VIN verification. Is a Connecticut Bill of Sale Required to Register a Boat? Yes. According to the Connecticut DMV, a bill of sale is required to register a boat. 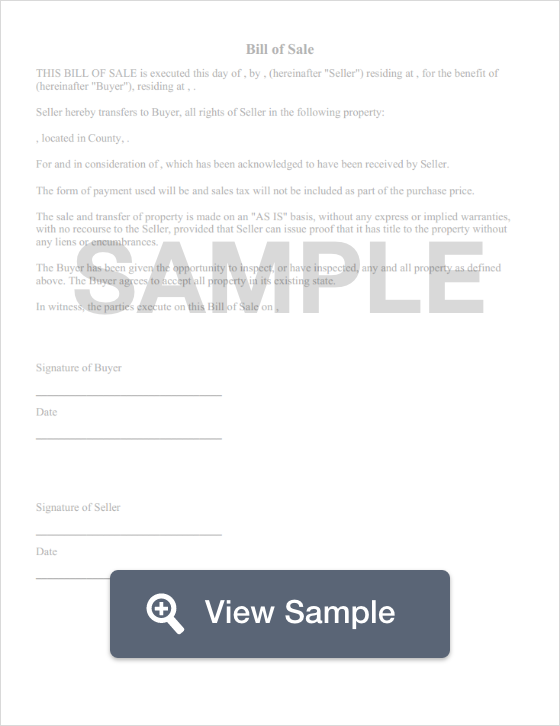 The bill of sale must be signed by the seller and it must include the amount paid. For first time registration, you must submit a completed Coast Guard Final Documentation Paper, provide a bill of sale that includes the Hull ID, a completed Vessel Registration Application, and be prepared to pay your sales tax and the registration fee. Is a Bill of Sale Required to Register a Gun in Connecticut? No. Not all guns are not registered in the State of Connecticut. However, a Connecticut bill of sale for a gun can provide valuable protection to both the buyer and the seller since it documents the transfer of legal ownership for the weapon. There are certain limitations that determine whether someone in Connecticut may buy or possess a gun. Additionally, the state has a stringent process for those who want to obtain a gun permit to carry a hand gun. The State of Connecticut does require assault weapons to be registered. However, the assault weapons that are registered came in under certain exemptions to a 1993 law that banned possession of them. Create a free Connecticut Bill of Sale in minutes with our professional document builder.